Allow 2 weeks for our Custom Fit Option. Our Custom Fit Option is much like our Made to Measure Option. You’ll have access to the same range of styles and suit shapes for every body type. On your first fitting, our consultants will advise on the best fit for your requirements. They’ll also show you our varying selection of specialty fabrics and accessories. Your measurements will then be taken, an important step to establish your relationship with our tailor. Taking your specific measurements, we create the fit block to suit your frame. These are then turned into a pattern and then your chosen fabric is cut and sewn into a suit that will fit you perfectly. The next step is your final fitting – where the tailor can make final alterations to make your suit fit like a glove. Your brand new Joseph Uzumcu suit is now ready for you to take home. 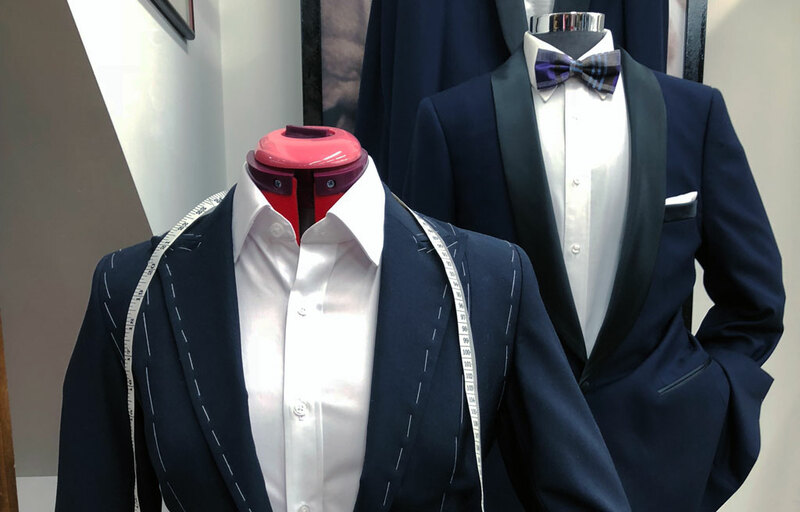 Our custom fit suits are made from the same high quality materials and fabrics available for our Made to Measure clients.